Hello, my name is Angie and I am training to be a RWH leader. I am not a member of a walking group but do belong to a running club, so I cover a few miles of footpaths and roads each week with other runners so it makes sense signing up to the Walking Partnership https://www.rwhtravel.com/the-walking-partnership/ My most memorable walking holiday was definitely the Robert Louis Stevenson ("Travels with a Donkey") 147 mile trail in the Cevennes, France, in 1992. 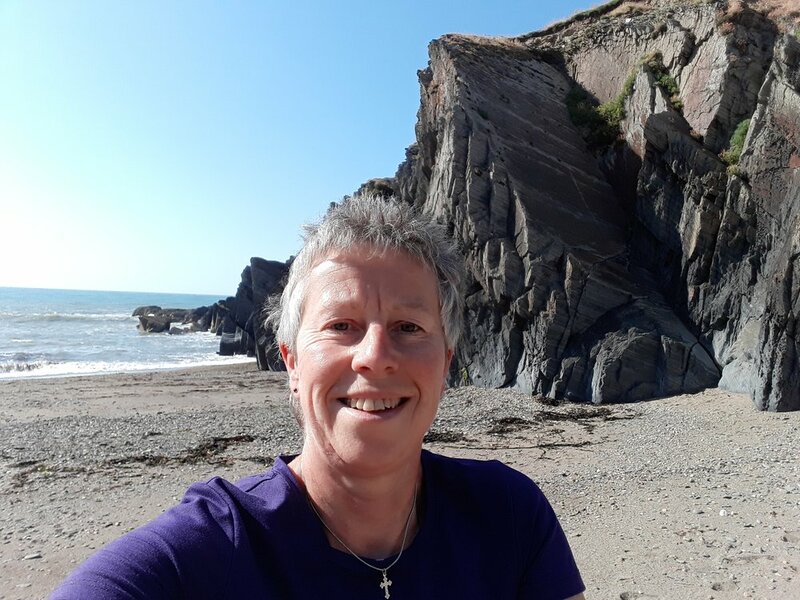 I first became aware of RWH holidays following the death of my husband in March 2017. He had been diagnosed with Alzheimer's in January 2015 following a fall in which he broke his pelvis. Caring for him in the ensuing months was very difficult as I was head of a primary school, so in July 2015 I took early retirement. In January 2017 he developed the first of a series of infections and ultimately spent a short time in a nursing home, where he died - thankfully still knowing me. The previous autumn I had booked for both of us to go on a cruise to the Norwegian fjords; his funeral was 4 days before the cruise, so I still went and came across some RWH clients on board. Christmas 2017 loomed on the horizon and, searching for somewhere to spend the festive season with some other like-minded people, I happened upon a RWH holiday not too far from home - so I could always come home if I did not like it! It’s a serious business applying to be a RWH leader as they won’t consider you unless you have attended the NNAS Bronze course (or already hold ML or IML qualifications) and gained an outdoor first aid certificate, with a whole world to lead in foreign language skills are an advantage too. Of course you need to be outgoing with great people skills. I focused on applying and was accepted! RWH leader training starts with the NNAS Silver training course including group management and presentation skills. (only my second ever with RWH) mainly as a holiday but also to take note of what the leader, Ian, did. We were a group of only 13 walkers for most of the time as one participant found it too hard going on the first day; we were, for the most part, fairly equally matched in pace, ability etc. 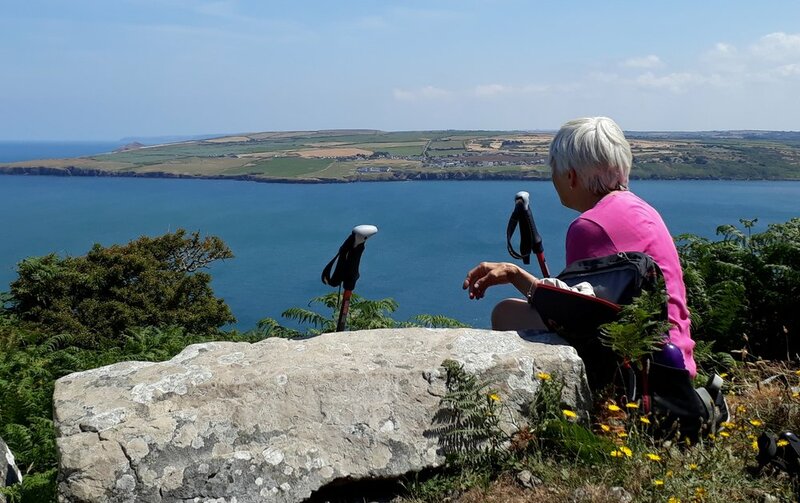 The walks were most enjoyable and were varied in that they were a mixture of coastal and inland, hilly and flat with great opportunities for views whenever we stopped. Ian was mindful of the whole group at all times and took into account the hot weather combined with the steep inclines when setting the pace. He had the most impressive knowledge of flora and fauna and he was keen to share this, but not excessively so; when there was something of particular interest, or a stop was needed for a drink or breather, he inevitably had a snippet to share about a bird that had just flown by or a plant that was growing by the path. I wondered what, as a leader without this range of knowledge, I would be able to share with any group in the future! The hotel setting was spectacular and we were blessed with stunning sunsets every evening. Moreover, the hot weather meant that swimming in a nearby cove was a delight (once we had avoided the rather large jellyfish! All in all, it was a highly enjoyable 5 days in a location with which I was not familiar, but to which I would now happily return. It reinforced my decision to apply to become a leader for RWH and I now look forward to my final training, another holiday (abroad) at Christmas and then my first tour as a leader. This was very good holiday, which offered a variety of walks and challenges! We were fortunate to have a very good and experienced leader with a great sense of humour, often needed in times of stress or tiredness.